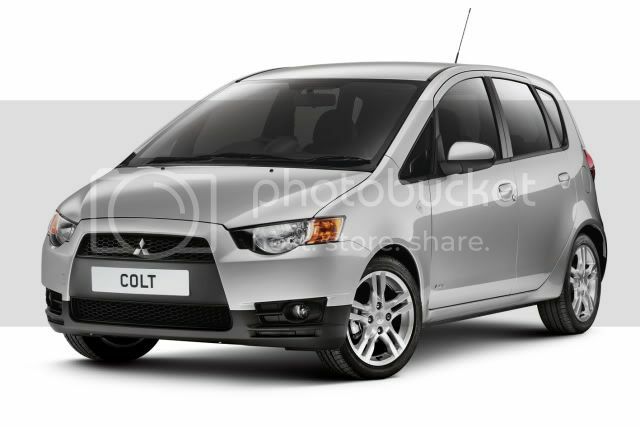 In order to combat slow sales, Mitsubishi has launched a special-edition Colt Juro. Based upon the mid-spec Colt CZ2 specification, Juro adds a portable Garmin satellite navigation system, Bluetooth, and leather interior and more. Power comes from a naturally-aspirated 1.3 litre petrol engine, that's used in the rest of the Colt range. 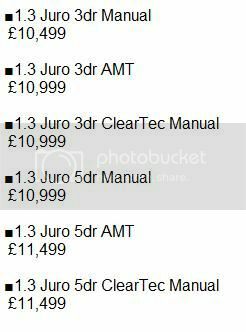 Both manual and automated manual transmissions are available. Additionally, ClearTec models add a stop/start system to lower emissions and improve fuel economy. With both 3dr and 5dr models on offered, standard equipment will include 16” alloy wheels, air conditioning, leather steering wheel w/audio controls, leather gearknob, x6 airbags, x4 electric windows, leather interior, Bluetooth, and a portable Garmin satellite navigation system. Metallic paint is optional at £360.